If you are planning to open a restaurant and need help in designing your ultimate restaurant kitchen, then the below restaurant kitchen designs are just for you. 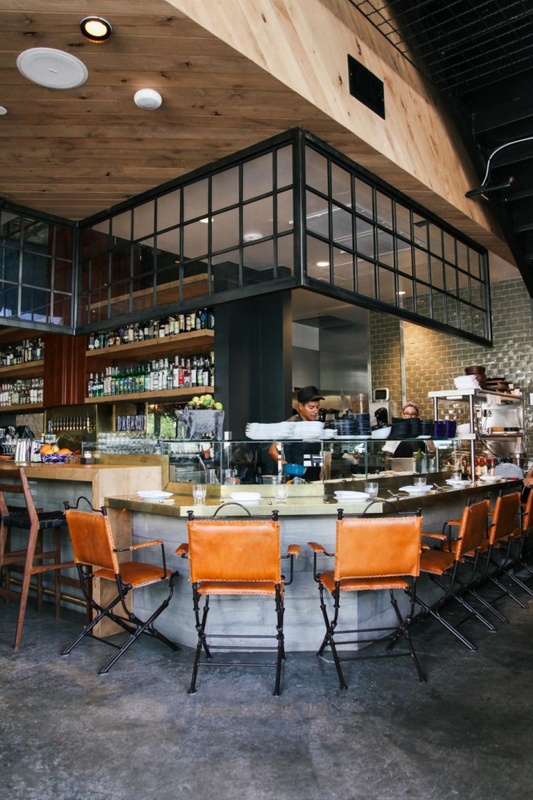 Whether you are designing a kitchen for your restaurant or building it from scratch you will find some major inspiration from our collection of restaurant kitchen designs. Take a look at some of the best designer kitchens designed with high performance and highest level of functionality. 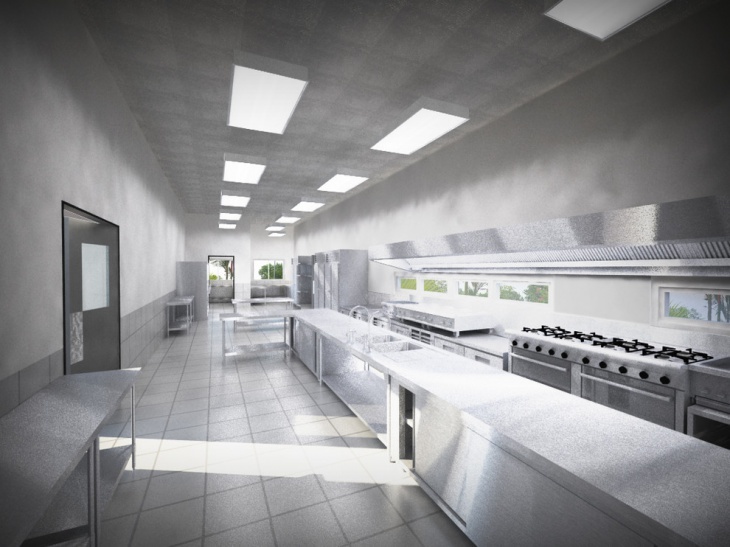 You may also see commercial kitchen designs. 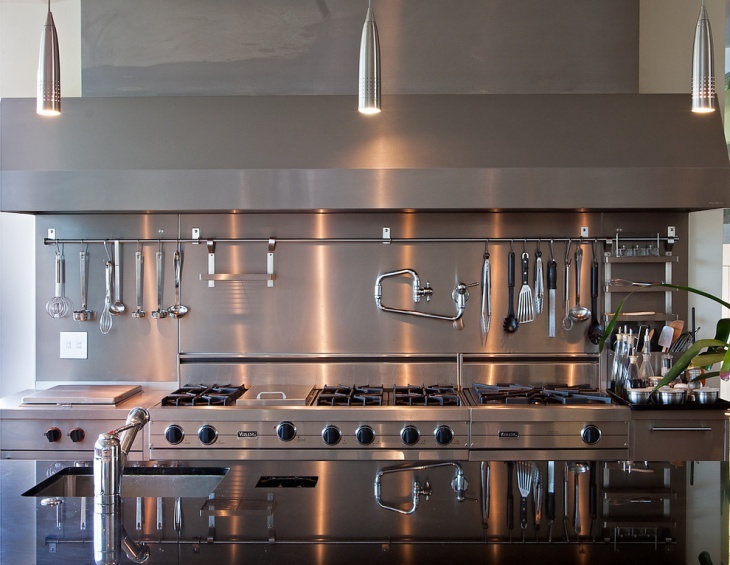 This is a small contemporary kitchen design and it features a stainless steel commercial stove that is pretty large and functional. 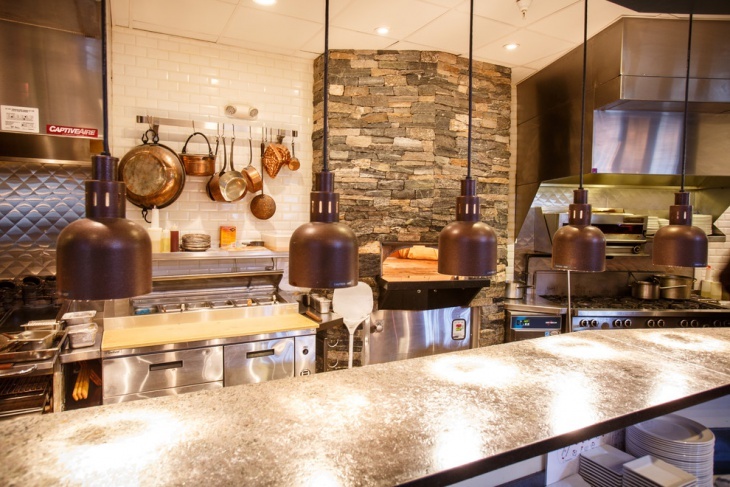 The walls of the kitchen feature knives, steel choppers and a whole lot of accessories that are to be used in the restaurant kitchen. 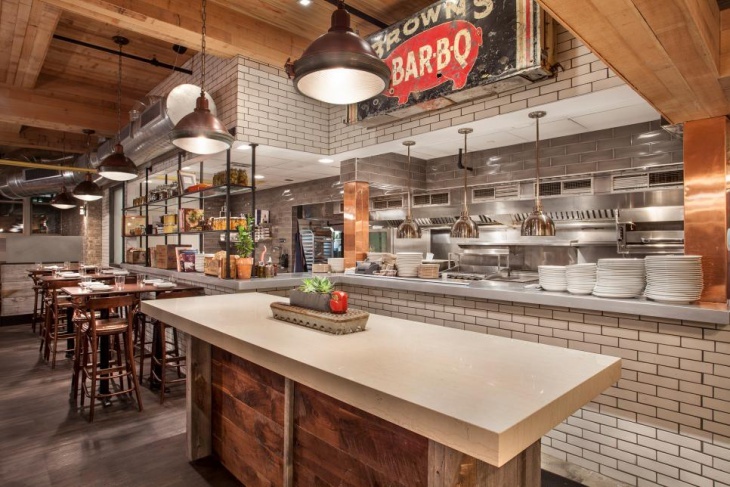 This is a fast food restaurant kitchen that has a rustic style and loft inspired layout. 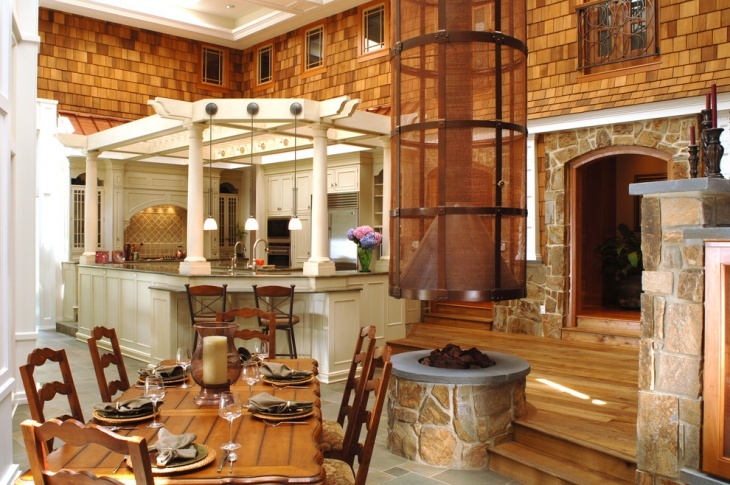 It has a glazed brick design with a shiny granite countertop and chairs next to the large island table. It is an industrial kitchen of a top shot restaurant. We all know Chinese food tastes yum and we rush to Chinese restaurants for the same. 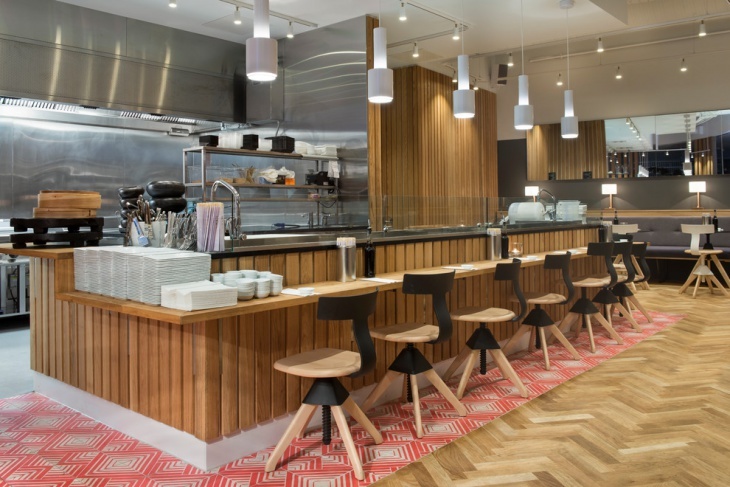 Here’s a Chinese restaurant kitchen that has a minimalist design with a blend of modern and traditional. 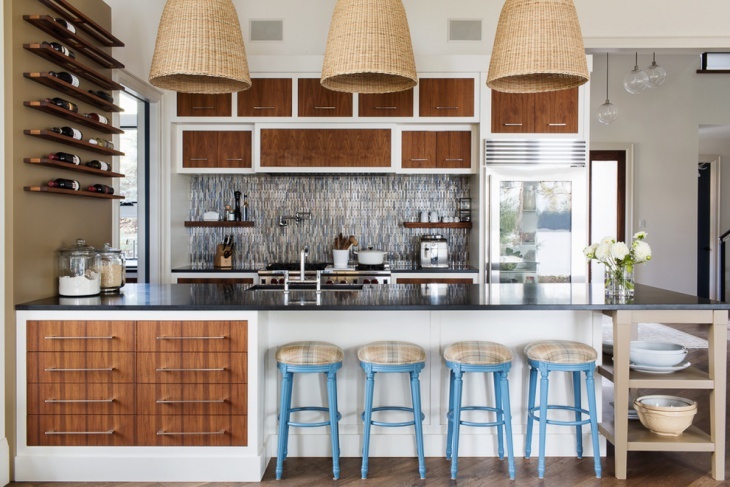 It features wooden island and walls along with white pendant lights. 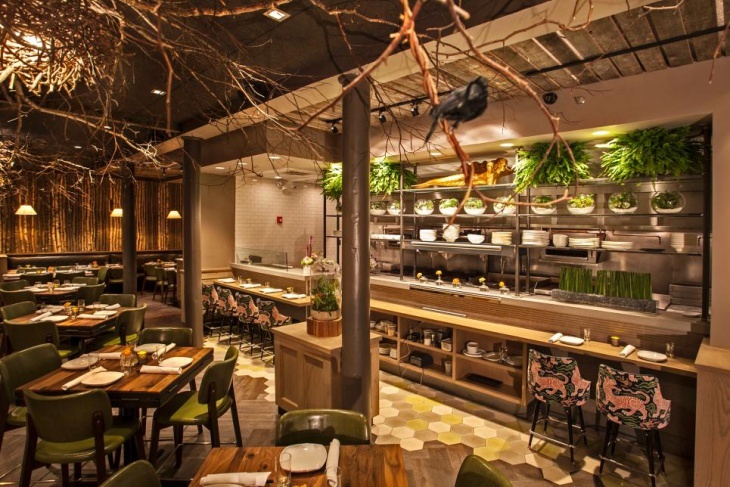 This is a rustic restaurant kitchen design in Philadelphia which features stainless steel appliances along with medium tone hardwood floors, stone walls, brick walls and a rustic eat in area inside the kitchen. This is a traditional restaurant kitchen with stone fireplace and stone oven. The restaurant has been built with a mix of high end materials which create a warm, elegant and inviting design in the space. It contains wooden beam ceiling that has a traditional rustic feel. You may also see nordic kitchen designs. 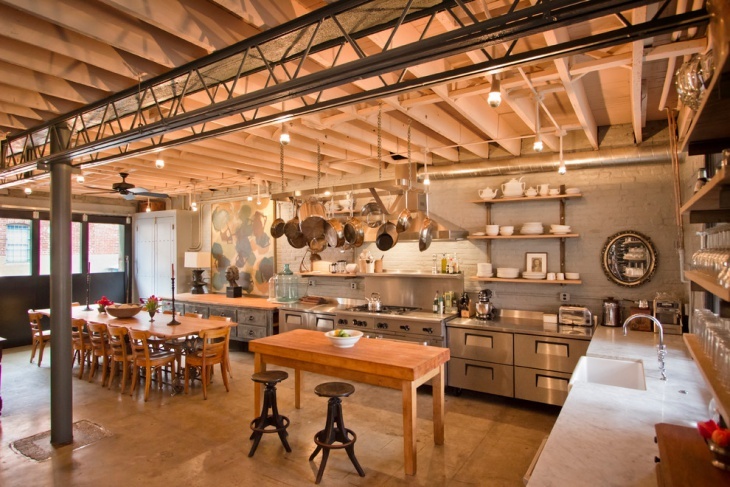 This is an industrial restaurant kitchen that features a commercial stove in stainless steel. The kitchen is very large and has a whole lot of restaurant essentials also featuring eat in area. It also contains another wooden table with dual chairs. This is a seafood Asian restaurant which is very luxurious, functional and well design. It is a restaurant bar and thus it features a long island with chairs similar to that of a bar. 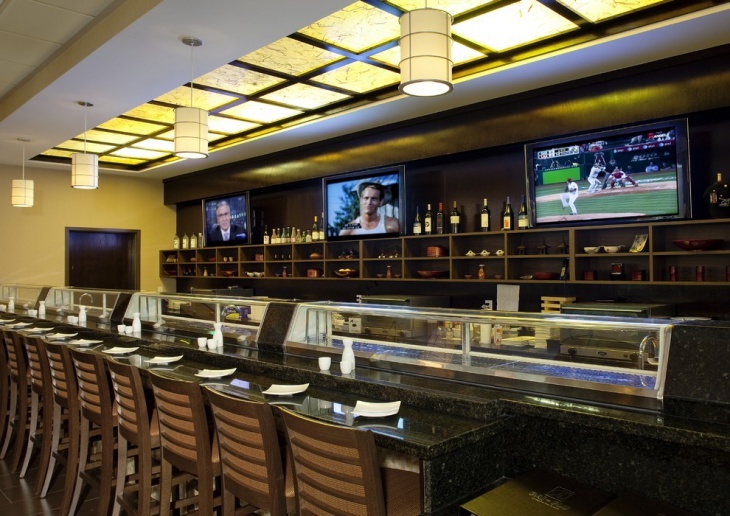 It has several television sets attached to the wall along with beers and whiskeys. This is a contemporary restaurant kitchen built in all white which is all empty. The accessories of the kitchen have not yet been placed but it is a very spacious and large kitchen featuring long island tables and stainless steel appliances. 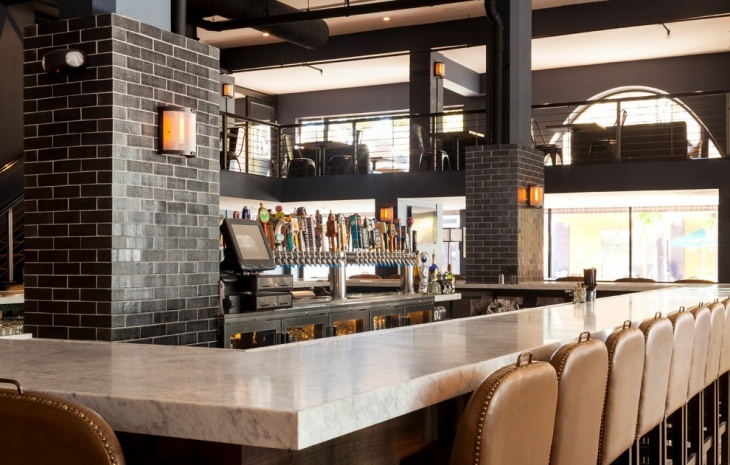 This is a modern restaurant which has been opened in Minneapolis and it has an amazing architecture in a red hot tile which gives the restaurant an awesome new look. 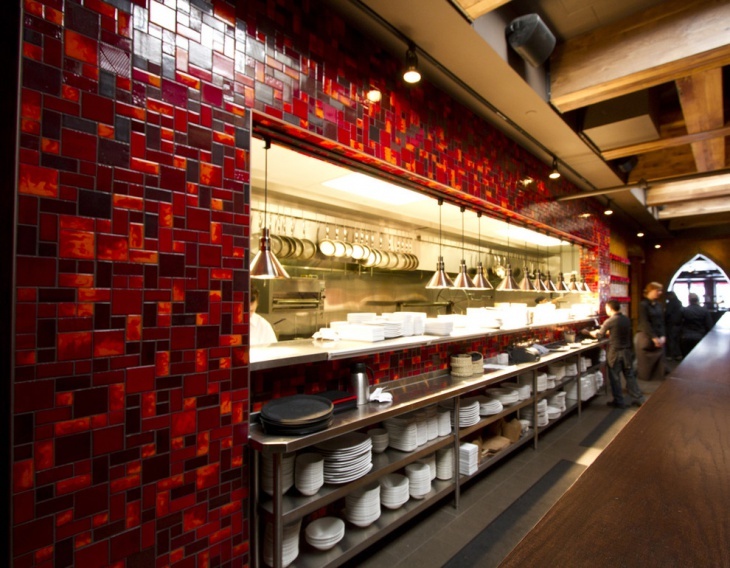 This red tile draws in a lot of appeal to the restaurant. This is a city style contemporary kitchen which features glossy doors in a modern design. 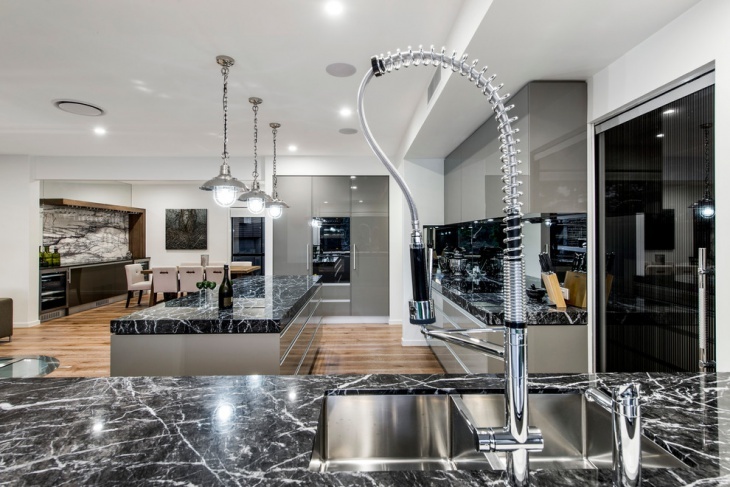 It has natural marble bench tops, mirror backsplashes, an under mount sink and faucet and integrated refrigerators inside the kitchen. 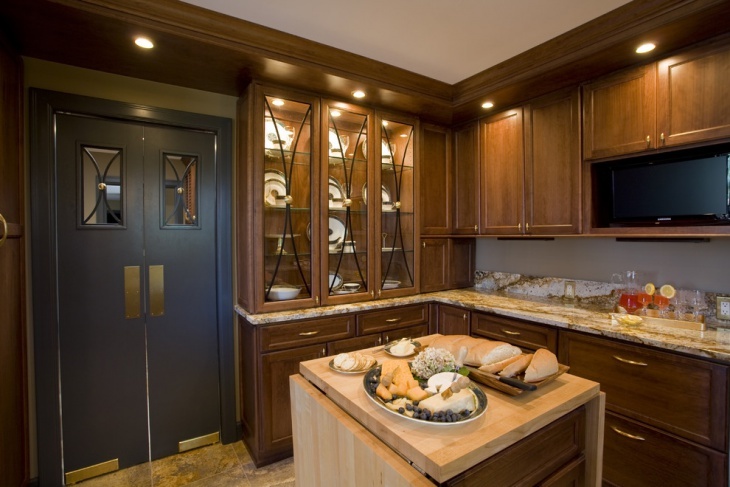 This is actually a restaurant style pantry idea that has been incorporated into a house. 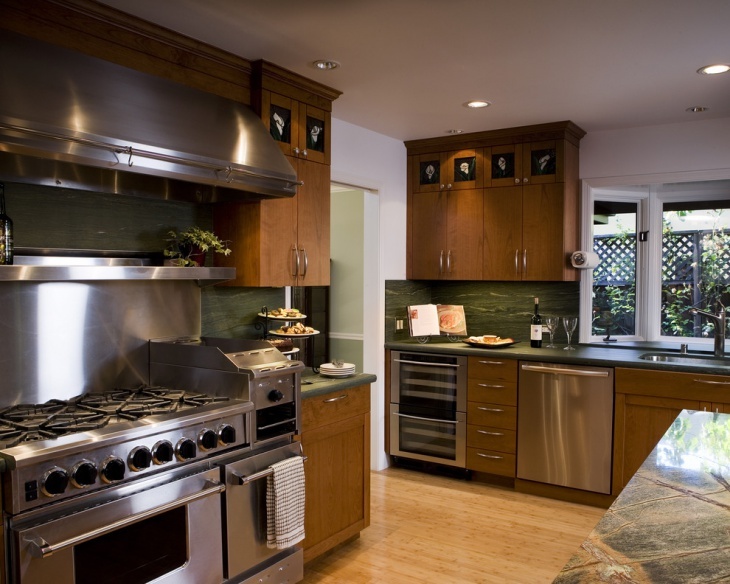 A well organized and functional kitchen must contain specific elements that have an optimum performance and efficiency. Restaurant kitchens have to be highly functional as a lot of heavy work goes in there. 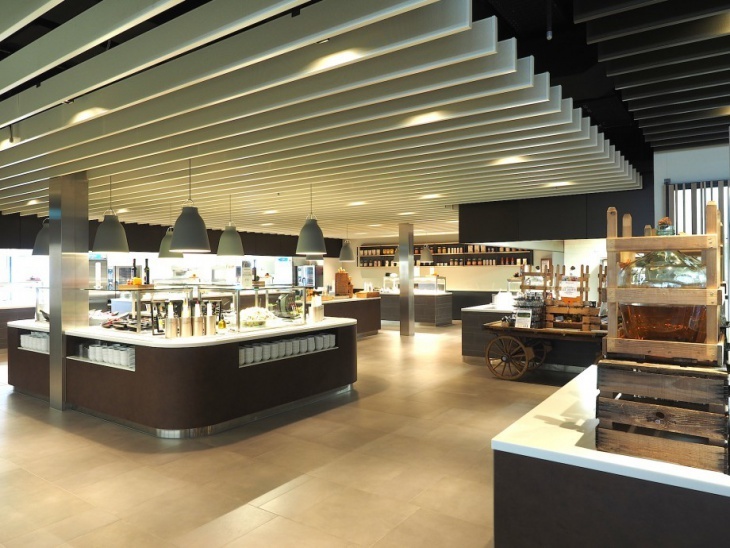 Apart from the usage of high-end materials to ensure safety and security, restaurant kitchens also have to be visually appealing so as to attract potential customers. If you are starting your own restaurant and need ideas on building and designing, you can refer to the above designs. 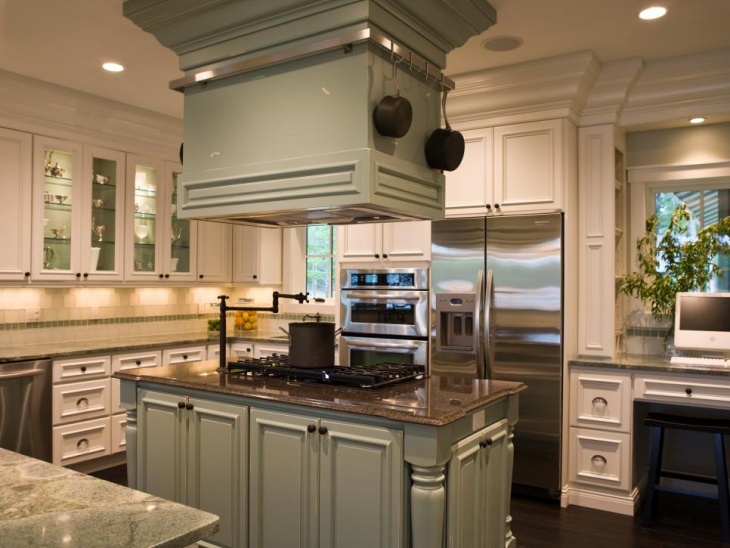 You may also see modern kitchen designs.